Budget hostel and backpacker accommodation in the picturesque town of Oxford at the edge of the Canterbury plains on South Island, New Zealand. 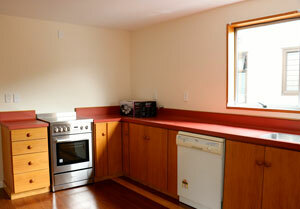 Oxford Queenette Backpackers is a small and cosy family-run and owner-operated hostel situated in the heart of the country township of Oxford – known as “the best little town in New Zealand”. Located just close enough to the Christchurch airport to be convenient, yet far away from the polluted hustle and bustle of city living, we offer a taste of a more rural NZ experience. 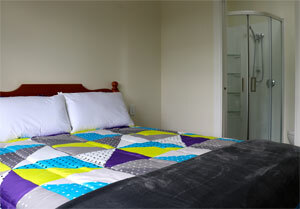 Oxford Queenette Backpackers is a relaxed and affordable base to explore the wider Canterbury area. Our brand new hostel is clean and welcoming. Housed in a newly refurbished building, with new beds, new kitchen equipment, and new bathrooms we offer a comfortable and affordable base for international and local travellers. Two 10-bed Dorms, with shared bathrooms. We have a number of outside areas to relax and read or chat with other travellers – and we have great outdoor activities right on our doorstep, from easy walks to full-day and overnight tramps, golfing, horseing ridding and more. We offer our guests comfortable and affordable accommodation in our brand new hostel, with free WiFi, and USB chargers and lights for every bed. Located in the centre of Oxford we are within comfortable walking distance to the cafes, takeaways, museum, library, outdoor seasonal pool, and much more. Stay with us and find out why Oxford is the best little town in New Zealand.